The domestic stock markets started Friday’s session on a green note, supported by broadly positive cues from the global markets. At 11:45 am, the S&P BSE Sensex was trading at 37,965.78, up 302.22 points or 0.80 per cent. The broader Nifty50 was trading at 11,473.50, with a gain of 88.45 points or 0.78 per cent. According to market observers, healthy buying activity can be seen in banking, auto and metal stocks after the US and China agreed to resume trade talks last night. All sectoral indices, led by metal, FMCG, realty, auto, banking, PSU, healthcare, infrastructure, power, capital goods, oil and gas and IT, recovered up to 1.38 per cent. Asian shares won a modest reprieve on Friday after China and the United States agreed to hold their first trade talks since June next week and as the Turkish lira extended gains from its record low earlier this week. Major gainers in the 30-share Sensex pack in opening trade were Vedanta (+2.25%), ITC (+1.68%), Tata Steel (+1.45%), Yes Bank (+1.27%), SBIN (+1.11%) and Tata Motors (+1.00%). Grasim (+2.05%), Hindalco (+2.01%), Vedanta (+1.96%), Tata Steel (+1.74%) and Infratel (+1.46%) were leading the pack of Nifty gainers in early trade. The Indian rupee closed below the 70-mark for the first time on Thursday. The fall in Indian currency was due to strong US dollar demand amid growing concerns over widening trade deficit. Forex and money markets are closed today on account of ‘Parsi New Year’. Reserve Bank of India’s Monetary Policy Committee on Thursday expressed their concerns about meeting the medium-term inflation target. Oil prices were on the defensive, on a weakening outlook for crude demand despite their gains on Thursday. India’s crude oil import bill is likely to jump by about $26 billion in 2018-19 as rupee dropping to a record low has made buying of oil from overseas costlier, government officials said on Thursday. On the other hand, top laggards on the BSE index in morning trade were Hindustan Unilever (-0.01%), HDFC (-0.15%), Wipro (-0.27%), Bharti Airtel (-0.56%) and Bajaj Auto (-0.61%). Main losers on the NSE index in the morning session were Bharti Airtel (-0.46%), Tech Mahindra (-0.44%), Bajaj Auto (-0.43%), GAIL (-0.42%) and Wipro (-0.32%). Meanwhile, domestic stock markets closed Thursday’s session on a negative note. 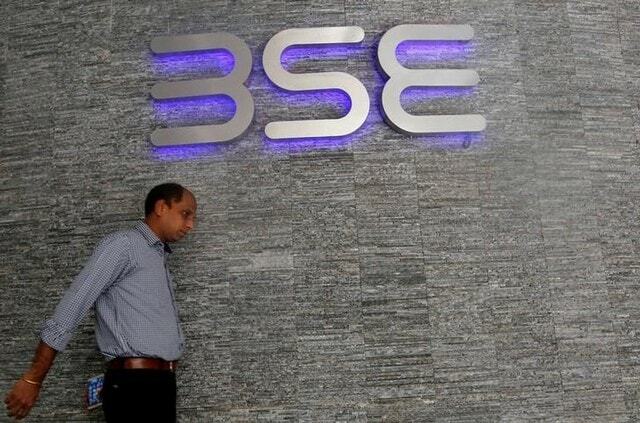 The S&P BSE Sensex tripped by 188.44 points to end at 37,663.56. The NSE’s Nifty50 index settled at 11,385.05.